"Now, if there's a chemical leak, people may not learn about it for a couple of days, but our system can inform them immediately through their mobile phones," said Riccardo Petrolo, a postdoctoral researcher in Knightly's lab. "We are also concerned about the dangers first responders might face during extreme events like Hurricane Harvey. We want them to know where the edge of a plume is located so they know where it's safe to breathe and where to set evacuation boundaries." 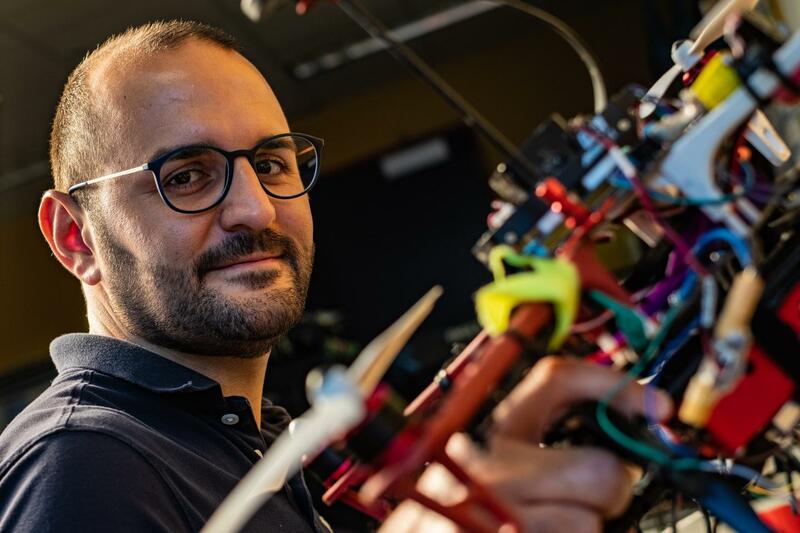 When properly rigged, multiple ASTRO drones will assemble a three-dimensional record of aerial pollution using advanced modeling techniques developed by Rice environmental engineering professor Rob Griffin. The researchers hope to deploy ASTRO for testing in a neighborhood near the Houston Ship Channel, home to industrial processing plants and chemical refineries. Cliff Dacso, a professor of molecular and cell biology at Baylor, will guide the team's analysis to focus on VOC signatures that are most detrimental to human health. That community, on Houston's east side, is already being served by Rice engineers who worked with TFA to deploy a sophisticated Wi-Fi network in 2011. Together with Will Reed, TFA president and project team member, the researchers would like to capitalize on that connection so drones can serve information about air quality to residents of the neighborhood in real time. ASTRO's unique abilities will allow the system to work without intervention from a person or a ground controller. Yingyan Lin, a Rice professor of electrical and computer engineering, is designing custom machine-learning methods for the project. "We might need someone in a car to pick them up, or they might have a base station on the ground, but day to day, they should be able to take off, track plumes and send that information back through the internet," Petrolo said. Petrolo said ASTRO's capabilities will stretch beyond gas sensing. "The platform is fully agnostic," he said. "There's no reason it can't support cameras and other wireless sensors to, for instance, find someone in an emergency response situation."